KidZania Go! Gives Kids a Taste of Immersive Role-Playing at Rockwell Tent! Kids decorate baked goodies that they can share with their family and friends. Give kids a taste of what role-play at KidZania Manila will be like at the free KidZania Go! pop-up event on June 13 and 14 at the Rockwell Tent at Rockwell Center. Pre-register your kids onsite at the ground floor of PowerPlant Mall at Rockwell Center on June 11 to 12 from 11am to 8pm. With this free pop-up event, kids can get a sneak peek of what awaits them when KidZania Manila opens in Bonifacio Global City this year. 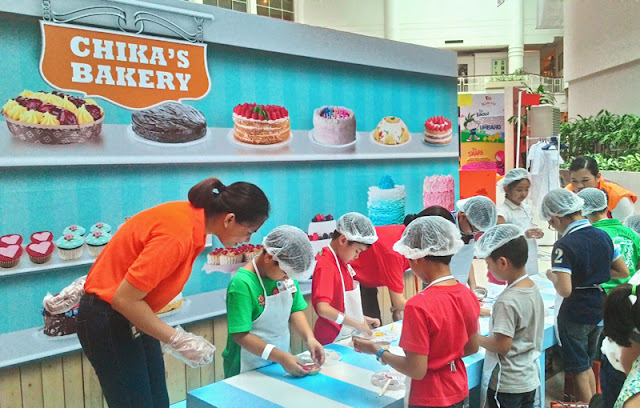 There will be multiple sessions during the two-day run of KidZania Go!, with each session featuring a preview of the play city’s role-play activities for kids. Caring for the environment is one of the RightZ that KidZania Manila upholds. 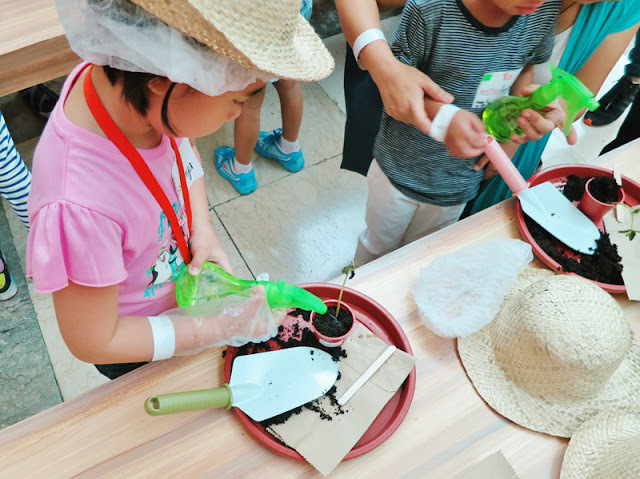 The Urban Garden activity at KidZania Go! helps kids understand the importance of looking after the environment. 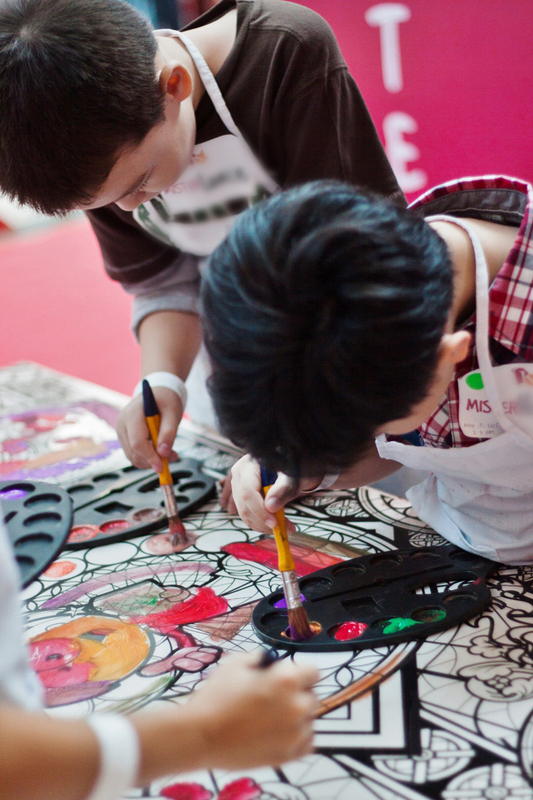 Kids get to unleash their creativity through color at the KidZania Go! Beebop’s Gallery. Kids discover how different kinds of liquids mix as they make their own lava lamps at Urbano’s Lab. Through diverse hands-on activities like painting and preparing seedlings for planting, KidZania Go! sparks a kid’s inquisitive mind and creativity. KidZania Go! also provides an opportunity for children to play, to learn, and to collaborate with new friends this June. The fastest growing global leader in educational entertainment, KidZania is set to open its first kid-sized play city in the Philippines within the year. The interactive play city will be open for kids 4 to 14 years old and will feature inspiration, fun, and learning through realistic role-play. KidZania Manila believes that kids’ boundless curiosity, originality, and energy need encouragement and nurturing. KidZania Go! has role-play activities that highlight the “RightZ” that KidZania promotes for children: to be, to know, to share, to create, to care, and to play. “As we design this avenue for children to role-play careers associated with grown-ups, we give them the opportunity to tap into their imaginations and spark creativity, as they engage in activities they don’t usually experience day to day,” said Maricel Pangilinan-Arenas, State Governor for KidZania Philippines. “The appeal of role play is universal among kids. Through the safe, stimulating, and facilitated play environment that KidZania Manila provides, we empower kids as we ignite their imaginations, allow them to learn through personal experience, and make learning more fun,” Arenas adds. The child-proportioned city of KidZania Manila at the Bonifacio Global City will feature over 100 role-playing activities that include doctors, firefighters, pilots, news anchors, bakers, farmers, journalists, actors, and musicians in realistically themed establishments that are found in the real cities. 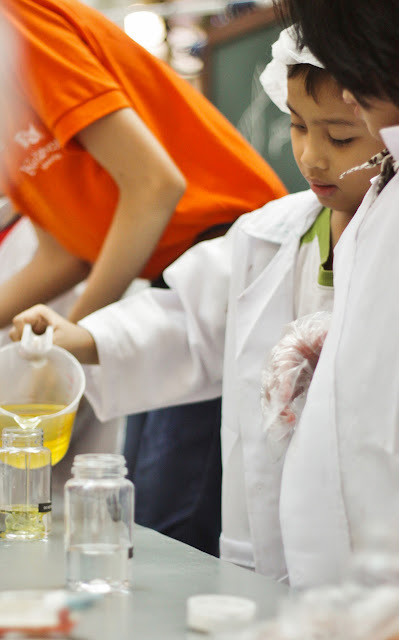 Dubbed as the ultimate role-playing environment, KidZania lets kids explore different careers, learn economic fundamentals, and get hands-on “experience” on what it takes to run a better world. Stay tuned for more announcements and details on KidZania Manila’s Facebook page! KidZania is an interactive kids’ city combining inspiration, fun and learning through realistic role play for children 4 to 14. Kids can independently explore a kid-sized city with over 100 exciting roles. Each experience is designed to empower kids, giving them the confidence to be their best selves, and inspiration to be great global citizens. One of the world’s most inventive, most awarded and fastest-growing kid’s educational entertainment concepts, KidZania has 18 locations in 15 countries, as well as seven new sites under development across the globe, including in the Philippines. KidZania is locally franchised by Play Innovations, Inc., the majority shareholder of which is ABS-CBN Corp. KidZania Manila is set to open at the Bonifacio Global City in 2015.